We want everyone to get as much time off as they need. The trick is, we need to know ahead of time when you’re not available. In many cases, we’ll book appointment 2-3 weeks out. That means finding out the day before you’re not available puts both you and the company in a bad position. *NOTE: Sending a text message or calling in to request time off is never acceptable. It has to be submitted via the web app. If time off is not requested following these rules, the time off will be denied. 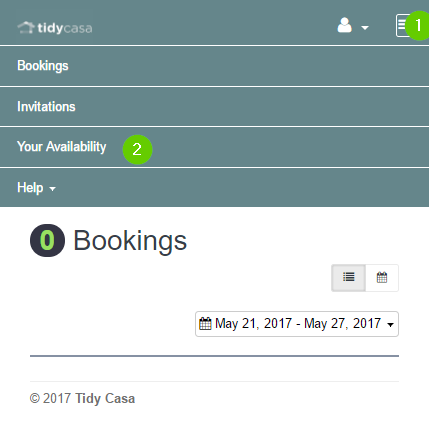 If time off is denied and you don’t show up to your appointments it may result in being let go or no longer receiving work from Tidy Casa. Click on the day you want to change in the calendar below. 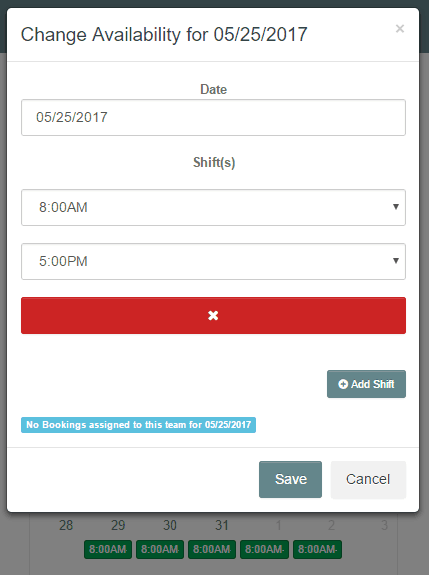 After, selecting the date to make changes by selecting the drop down menus for the beginning and end of your shift. 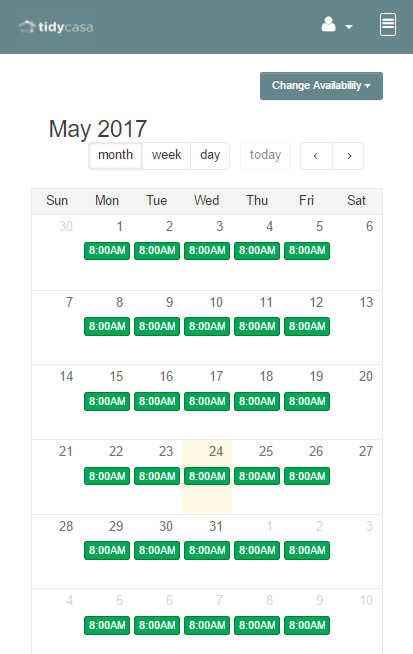 In addition, you can hit the red “x” to take the whole day off. After making the changes hit save. 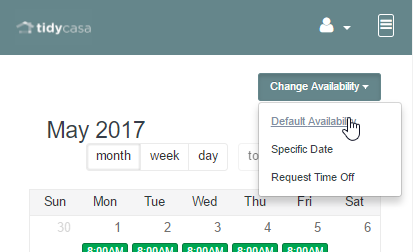 You can also change your default availability using the blue button in the upper right-hand corner. Making a change here will affect all days on your schedule.